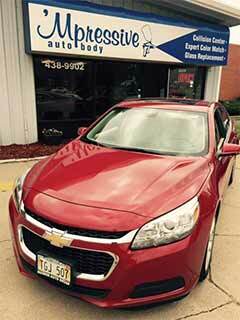 For all of your auto body repair needs, Mpressive Auto Body in Lincoln, NE has you covered. Offering a variety of repair services, including glass replacement, auto body paint services and more, Mpressive Auto Body is your go-to local source for professional, friendly service and efficient, expert repairs. Whether your vehicle has sustained damages from an accident or you have an older vehicle that is ready for a new coat of paint, our professionals can help to restore your car, ready to make it look like it is brand new. Auto body repair and paint services: We offer auto collision repair in Lincoln, NE. This covers many different services, including dent repair, scratch repair and frame repair. Additionally, Mpressive Auto Body also provides auto paint services and specialize in using Spies Hecker paint line for all of our vehicle repairs. Auto glass repair and replacement: Whether a windshield has been shattered during a collision, a window needs to be replaced or your vehicle needs some headlight work, Mpressive Auto Body can take care of it. We offer auto glass repair and replacement for any situation. 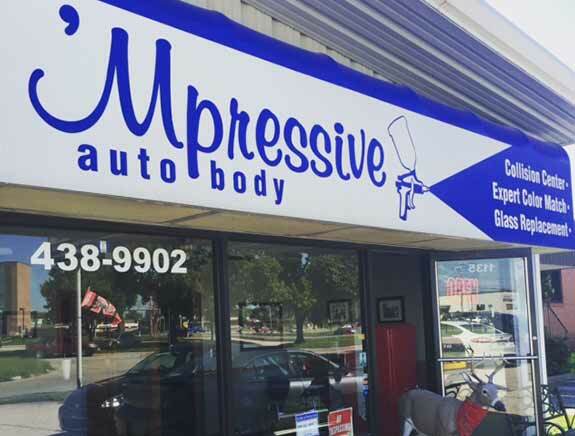 Professional, efficient service: With more than ten years servicing Lincoln, NE and the surrounding areas, our professionals at Mpressive Auto Body offer expert services with a friendly smile. We are committed to our customers and their satisfaction. In addition to providing top-notch repairs and services, we also provide a free car wash with any auto repairs. 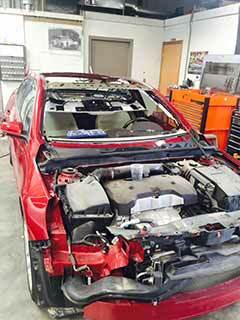 Custom Repairs: As another way to best serve our customers, Mpressive Auto Body also offers custom repairs. With custom repairs and paint services, we can make your car look brand new while also giving it the look you want. At Mpressive Auto Body, we can take care of all of your auto body repair needs. Whether your vehicle needs new headlights or some dent repair, visit us today at Mpressive Auto Body. We’re located at 1135 Saunders Ave., Lincoln, NE, 68521. Or give us a call at 402-438-9902. Our professionals are ready to help you!